Dirk joined the Allianz International Employee Benefits Network based in Stuttgart as General Manager at the end of 2002. On January 1, 2005 Allianz International Employee Benefits Network became the legal entity All Net GmbH and Dirk took over the function of Chairman of the Board of Managing Directors. In January 2014, All Net re-branded to Allianz Global Benefits GmbH due to a broader mandate on behalf of Allianz SE. Dirk heads this re-branded entity as CEO. 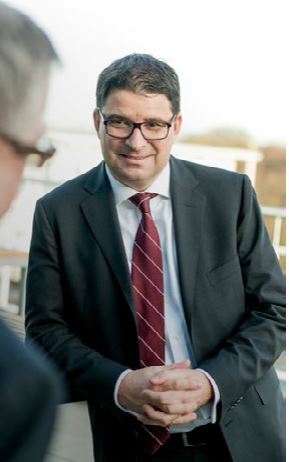 Before joining Allianz Dirk was a member of the Board of Managing Directors of the Generali Employee Benefits Unit in Frankfurt and was mainly responsible for the German speaking countries (Germany, Switzerland, Austria) and for Central and Eastern Europe. His professional career though started at Deutscher Lloyd Versicherungen AG in Munich where he worked for 10 years in different management and sales positions within the Generali Group in Germany. Dirk holds a degree from the University of Göttingen.